Beads top the world of fashionable jewels, all thanks to the different styles and materials that they are made from. 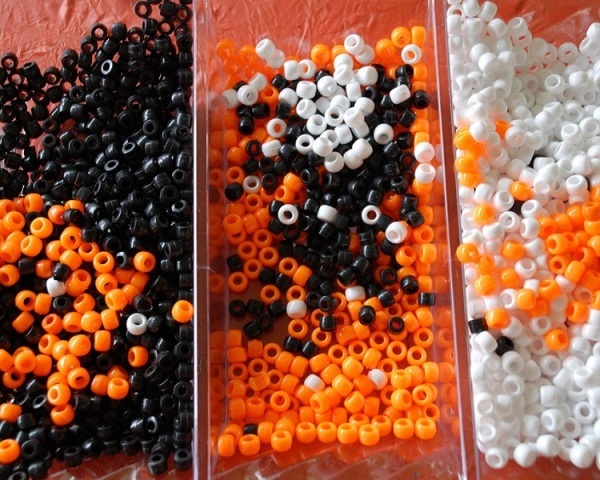 Browse through this write-up to know the different kinds of beads. Walk into a bead shop and simply stroll around. What do you notice? Numerous beads in an array of colors, sizes, shapes, and designs! Though you may try to control your awe-inspiring emotions, at the end you are bound to blurt out the expected term ‘wow!’ To confront your emotions, let us inform you that beads are made from almost any material you could ever imagine, right from glass beads, wooden beads, clay beads and plastic beads to shell beads, metal beads, pearl beads and semi-precious stone beads. All these beads are used for designing different jewelry pieces and beautifying apparels for special occasions, say weddings. Given here are some different types of beads for your knowledge. Steer through the lines to know them. Seed beads are small, round pieces made from different materials. The most common materials used for making seed beads are glass or plastic though you can find them in wood, pearl, jet, metal and other materials as well. They come in different sizes, shapes and colors, and are mostly used for adorning garments through various sewing and embroidery techniques. The smallest of seed beads are referred to as size 10 or 12, while little chunkier ones are of size 8. The seed bead family includes, Chinese, Czech, Japanese, round, Delica, square, triangle, bugle, and hex beads. Bugle beads are characterized by tubular shapes that are cut in different lengths. Generally made from plastic, glass, or metal, bugle beads can be either smooth or multi-sided. They are available in different colors, finishes and twists, and are sized in length using different size numbers, such as 0.5, 1, 1.5, 2, 3, and 5, 0.5 being the shortest. These are chips of semi-precious stones that are processed into small beads of various irregular sizes. These can be found natural or dyed, hand cut or machine cut, in different shapes and colors. Examples include jade, amethyst, garnet, etc. Metal beads are generally used as spacers to add a metallic shimmer and enhance the beauty of glass or semi-precious beads. Found in various intricate designs, sizes and shapes, metal beads add character to any piece of jewelry. Most commonly used metals include gold, silver, Indian brass, Bali or Thai silver, sterling silver, bronze, and platinum. Stunning and elegant, crystal beads add a touch of spark and glamorous finish to jewelry. They are made by cutting leaded glass at multi-faceted angles to enhance the beauty of the jewelry. The finest crystal beads are found in a range of colors, sizes, and finishes. Similar to seed beads in appearance, they are much larger in size than seed beads. They are most commonly made of wood or plastic, but you can find pony beads in glass as well. Pressed glass beads are a variant of pony beads that are molded into special shapes by passing thick molten rods of glass by hand through an automatic pressing machine to give detailed and beautiful pony beads. Saltwater or freshwater cultured pearls are transformed and made into lustrous and stunning pearls. Natural pearls are generally pink peach or mauve in color, while white pearls are off white or creamy in color. Cultured pearls are relatively less expensive than real pearls harvested from the ocean. Fresh water cultured pearl is a variety of cultured pearls found in the markets.